One of the easiest ferns to grow, this tropical native thrives in low to medium light. The more light your bird’s nest fern receives, the more crinkled the leaves will become. 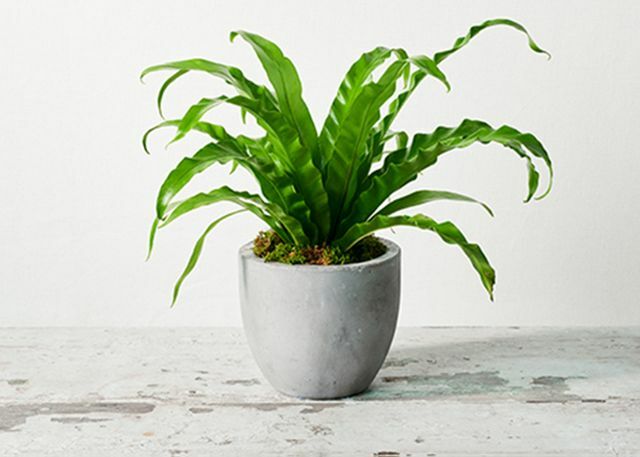 Its lush, ruffled fronds, low maintenance personality and smooth charcoal pot make it a great match for someone leaving the nest and heading off to college or a recent graduate eager to make their new apartment a home. 6" x 12" Birds Nest Fern in 6.25" x 7" ceramic pot. Total height: 19"